TABASCO® Buffalo Style Hot Sauce is not only ideal for tossing with butter and chicken wings—its tangy, authentic Buffalo flavor is also delicious in pizza sauce, pub-style foods, sauces and marinades for ribs and chicken, salad and sandwich dressings, and Asian-style dipping sauces. 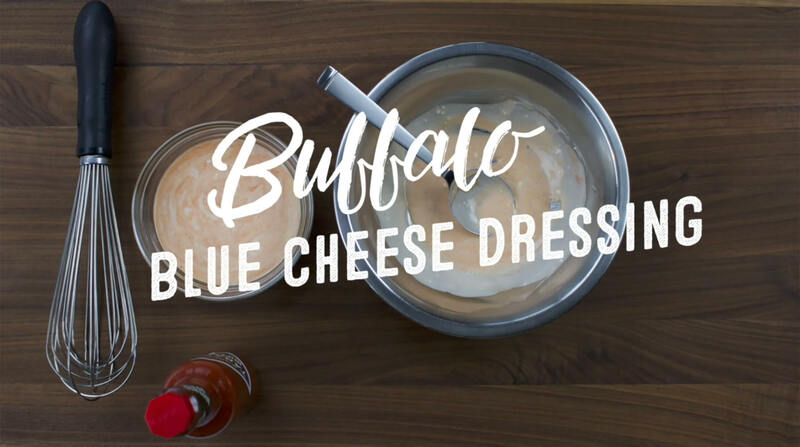 Try this Buffalo Blue Cheese Dressing as a tangy side dipping sauce for boneless wings, pizza and fresh vegetables, as a drizzle on tacos or whipped to elevate a traditionally simple sauce. TABASCO® brand Buffalo Style Hot Sauce --- 2 Tbsp.